Will CAP permit wearing the Blue Beret with the ABUs after Blue Beret Encampment, or is it just during Blue Beret Encampment? The reason I ask this is because of the Uniform Change letter doesn't seem clear to me and also the USAF Security Forces wear a Navy Blue, Blue Beret very similar to the CAP Blue Beret. Verboten as of this moment. You can only wear it with ABUs during National Blue Beret(Which is an NCSA, not an encampment), and with BDU/BBDU uniforms elsewhere. Until such a time as they change it, you'll need to get BDUs to wear the beret after NBB. That's IF they change it. Anything other than the change letter at this point is speculation and RUMINT. And keep in mind that the Wing or Region has to have an approved supplement to CAPM 39-1 authorizing wear outside of the NBB activity. Really, if you're at an activity, and everyone else is in a patrol cap, you should be in a patrol cap. Sir, I know that CAPM 39-1 is really confusingly worded when it comes to this, but people who have attended NBB are not required to have a wing supplement to wear the beret. Here is the direct quote from CAPM 39-1. A wing supplement is only required if they have not attended NBB. Although I do agree, if you’re attending a wing activity or something like that, sometimes it is best to just wear a Patrol cap. Cadet the Blue Beret is not authorized for ABUs and CC's and activity directors have the final say on uniforns for their AOR. First, congratulations on being accepted to attend NBB this year. Next, as of right now, you may only wear the beret at NBB if you elect to wear ABUs. If you elect to wear BDUs during the transition phase you may wear the beret with that uniform outside of NBB; no further supplement/approval is required, though local commanders and activity directors can restrict its wear. Lastly, if you do elect to wear the beret with the BDUs outside of NBB, be aware that there are many berets out there watching you and your actions. We are a tight knit family and will not tolerate those who bring discredit to the uniform or the beret (or more specifically the St. Albans Cross). And again, congratulations; I look forward to working with you and all the other participants. Security Forces is authorized to wear berets with ABUs because berets are authorized for AD members to wear with ABUs. And how is that pertinent to the topic? More importantly, what about OCPs?! be aware that there are many berets out there watching you and your actions. 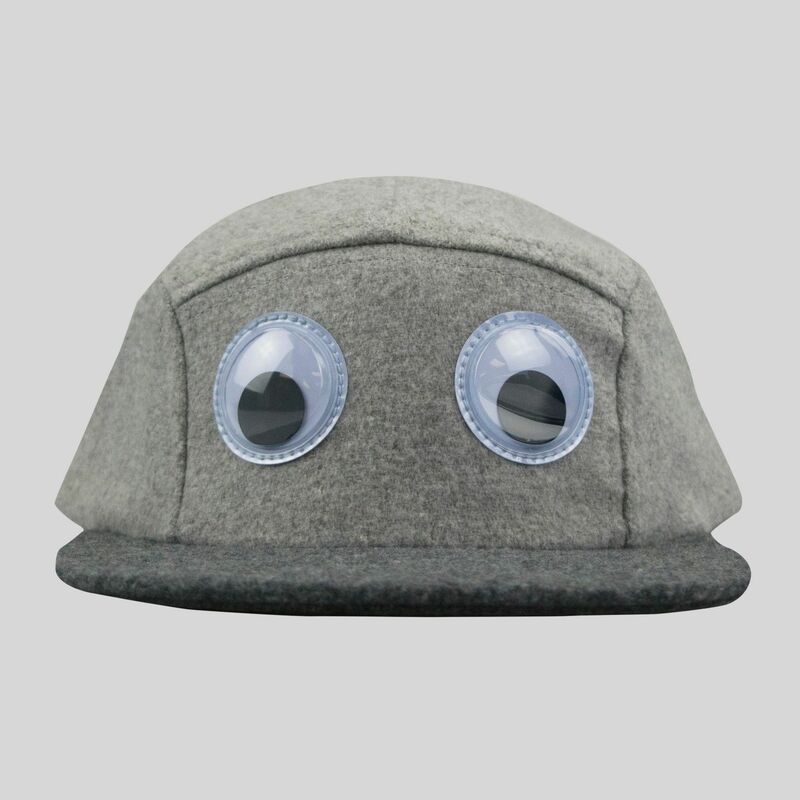 Am I the only one who thinks it's a bit creepy there will be a hat watching his every move? "Beret" is a simple term to refer to a cadet that graduated from National Blue Beret. Efficiency in communication is a key leadership skill. And all Cadets and Officers that attend do join the Order of St. Alban, a society of people that have attended the Activity and adhere to a set of values augmenting those of CAP. Yes, there is plenty of kool-aid dispensed, but come on, please lighten up. This is CAP, not the actual military. So is clarity in communication, which is far more important than efficiency. And this is why many of us have a not-so-high opinion of NBB graduates. You claim to be special, and in many cases, cause issues with your French hat. You’re helping me make my points. Thank you. If “Beret is a simple term used to refer to a cadet that graduated from National Blue Beret” (Which, as stated in the title is “National,” then can you refer me to the CAPM, CAPR, CAPP or letter, memo, sticky note or gum wrapper that actually says that? Wouldn’t “Energy in communications...” being such a “...key leadership skill” demand such a thing in order to make such designation universally understood within the organization? Same questions and comments go toward the “Society of St. Alban,” which sounds like a made-up thing with no official reference to purpose, need or even its very existence, other than to separate beanie wearers from the rest of CAP. "That's just funny right there, I don't care who you are." True; beret is also a term used to describe those who have earned or wear a beret. This is not unique to CAP or NBB. It is the responsibility of every CAP member to enforce the standards of the organization, which requires keeping a watchful eye. NCSA participants are not relieved of this duty. Both cadets and seniors have had activity credit revoked and their beret and St Albans pin taken away both at the activity and after it. No one is protecting the hat. As we teach cadets and seniors who attend; the person makes the hat, the hat does not make the person. As someone who wore a beret for 12 years the cult mentality of NBB is comical. Almost as comical as everyone who thinks CAP is the alpha and omega of the SAR world. This is akin to the Hawk psuedo "rangers" and many other things. Or just enlist in the Army and make it through basic training. I think the practice of calling NBB graduates "Berets" derives from a certain military group founded in 1952. The United States Army Special Forces are colloquially known as the Green Berets due to their distinctive service headgear. I acknowledge the difference between the two organizations, so let's stay off that path. When I was in USAF tech school many moons ago there was a drill team made up of students and they wore red berets. The group was often called "berets" as well. It pretty much is that. National experimented with removing the beret and the activity almost closed due to lack of interest. Tells me the prime motivation is the funny hat, not the training, as the only purported change was no beret at or after activity. Despite what the NBB folks will tell you. You're right. They took away the hat in the early 90s, and there was a significant drop in personnel attending the event. The result of this was that the few that did attend were slammed with the taskings required of CAP during the event. National made the decision to again offer the beret as a form of motivation. The result of this action was that we again had large numbers of CAP personnel in attendance, and CAP has continued to provide outstanding volunteer service to EAA for the last couple decades since. It seems silly to me that the hat had that great of an effect on attendance, but it did. Each year, we send a couple hundred people to Oshkosh to provide the EAA with support. I've attended 4 times; twice as a Cadet, and twice as a Senior Member. Each time, EAA makes it abundantly clear to us that we are a key component of their volunteer work force. Each year, CAP interacts with hundreds of thousands of people through Airventure. This happens as a result of hard work from local CAP personnel conducting SAR support during the event, recruiting booths, as well as people from all over the country wearing fuzzy, blue hats marshalling planes and looking for overdue aircraft. My experience with Cadets attending NBB has been overwhelmingly positive. I understand that some participants out there give the rest of us a bad name. As a Squadron Commander, I feel that it's incumbent upon me to mentor and guide our Cadets into being outstanding leaders, citizens, and people. Part of that may involve uncomfortable conversations regarding the importance (or lack thereof) of certain pieces of headgear. The cost-benefit relationship seems pretty clear to me on this. CAP provides help to a great organization in a multinational event that draws in hundreds of thousands of visitors, CAP members get a really cool experience (and a fuzzy hat), and some of those members end up using those skills when they return to their Squadrons (I've used MRO and UDF numerous times at the local level, both of which I achieved during NBB). The trade-off is that sometimes we have to talk with Cadets about how they should act right. Funnily enough, I feel like that's part of what we're supposed to be doing anyway. Yes, I'm certain I read that somewhere once. Really guys? You guys just not figuring that out? Each time, EAA makes it abundantly clear to us that we are a key component of their volunteer work force. comprehensive documentary I've seen (which admittedly is somewhat old at this point), not mentioned or seen, anywhere. my suspicion on this has always been that CAP is more excited about their being a big help then the EAA. you've answered the question for everyone else. I have no issue with going out and helping at an air show, but I don't see the connection between marshaling aircraft, trash duty, etc. and a fancy hat and oath. The very fact that the NCSA is called "Blue Beret" would certainly imply it is all about the hat. Scheme is probably the correct word since as was stated elsewhere, participation dropped when the beret went away. My comments have zero to do with the air show and are not meant to demean anyone as I know that a lot of work goes into this from a CAP standpoint. I am simply questioning the reason to award a distinctive uniform item and having the air of super importance to those that wear it and recite the special oath. I'm not going to lose any sleep over a cadet (or SM) getting a beret or not but I would like to know what specialized training these people receive that would warrant any special headgear. These are the same people that will be shocked at the drop in membership in CAP if they manage to take uniforms away. When they got rid of the beret, they also required cadets to get the smurf suit, rather than use their BDUs. That also had something to do with the drop in attendance. No beret AND you had to purchase and then WEAR that ridiculous "uniform"? Ya, no thanks. I figured this out about 5 minutes after I first heard about the program. CAP not getting enough out of the deal is a legitimate point, and not being mentioned on key marketing materials is a worthy concern. What then is the solution? Remove CAP from the event entirely? If you're looking for specific, quantifiable criteria, then I guess you're looking to hear that participants are (generally) qualified as UDF/FLM/MRO, and then use those specialties during the airshow. We've set the precedent in our organization (CAPM39-1 6.2.5) that we'll allow the wear of berets when members meet certain criteria (in practice, generally associated with some kind of ES rating). With the exception of anecdotal "my cousin's best friend once met a "Beret" and they said they were basically CAP's special forces" stories, I fail to see how this is any different. is not unreasonable for a "partner". The likely issue is that the EAA is made up of members of the GA community who know CAP for all that it is and isn't. Plenty of members are in the EAA, but like the ARC, it's a well-funded machine that doesn't need CAP, per se, for anything. because it's a non-factor to them. but a true partner in the way that Airventure is sold, should be getting comped on the space, at the very least. That really isn't specialized training to me. I'm talking about training only available at that event. And again, what does a beret and an oath have to do with UDF/FLM/MRO qualifications? Distinctive uniform items really should only be used to show that someone has a specialized skill that few others have. I personally have all of these ES qualifications (and more) but I don't see the real need for it. I'm not against special uniform items, I would just like to see that they really symbolize something. I'm just not seeing that with the berets. A little side note to all the EAA comments. This is great for Cadets! Fair point, but I'll maybe add a counter point. Although FLM/MRO/UDF isn't "specialized training" in it of itself and all of CAP can get that training elsewhere, what is quite different is the sheer volume of information, complexity and understanding of the material. I think back to NBB 05 and 06 and can remember several times where we'd have between 6 and upwards of 9 to 10 ELT's going off on a field packed with aircraft, hangars, walls, etc. concurrently. Knowing your stuff is essential, and you'd be hard pressed to get better hands on experience than in a saturated environment like that. Do I think it's CAP-SOC or something? No, hardly, and I think you'd be hard pressed to see anyone who's actually gone ever seriously call it something that ridiculous. Did I come for the hat? Ehh... I'm embarrassed to say yes but I was also 15/16 at the time and had a lot to learn, but once I got there I learned what the activity was really about I found new meaning in that silly hat. Call it kool-aid, whatever. Sure it's a hat, but I can't think of a time where I met another beret (and yes, it's a colloquialism for someone who's attended NBB, geez guys why all the hate and calling out every little thing. It's the internet not life/death) outside of the activity where we didn't become close friends and bond over our shared experiences even if it was years separated. Whether I like it or not, that silly french hat doesn't stand for a special set of skills as much as it stands for the guys and gals next to you and sharing in accomplishing a mission with a unique complexity and scope. If you read the oath for Berets, it's about the mission and those next to you, and that's really what NBB is about. Now, I've not been back since 06, and I know things have somewhat changed in 12 years, but I'd bet they haven't changed TOO much. Irrespective of the hat or value debate, I would like to point out that Wisconsin Wing partners with AFRCC every year to stand up a 24/7 precautionary SAR mission for the duration of Airventure, to much less internal fanfare than NBB. CAP resources stage at several of the overflow fields and provide state-wide SAR coverage in the event of an overdue aircraft. Basically, NBB’s ES mission except it covers the other 99.9% of the state. If I were to change where I spend my CAP vacation days, that’s where I would put them. Good people, good mission. They can wear the beret but only if authorized by the Wing CC. ... In writing, via a Wing (or higher) Supplement to 39-1, which is approved by National HQ, and is posted on the national web site. 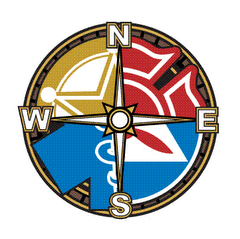 The "approved by NHQ and on the national website" is the part that many Wings and Regions seem to forget. No supplement is valid unless it is on the national website. And no supplement overrides the parent instruction. Not to mention that in the ICLs covering ABU wear it is specifically mentioned that berets and red hats are not authorized with ABUs. I called a Special Forces soldier a "Green Beret" one time, he quickly educated me that he was not a hat. Out of curiosity, I did the same thing with another one that was not around for the previous conversation. Got the same response. The people that call them "Green Berets," usually have nothing to do with them. That being said, I'm a little averse to the idea of referring to graduates of the NBB activity "Berets." It sounds odd, and can be very off-putting. I think it's a practice that needs to be discontinued. You can call someone a "beret wearer" all day, no issue there. But, labeling them as a "Beret" is weird. It also strikes me as lazy. 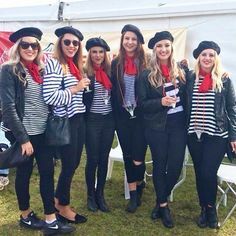 Instead of "they have a blue beret," or "they were awarded a blue beret," or "they wear a beret;" someone is saying "they're a beret." Laziness in communication causes miscommunication. And, as has someone has said before, it sounds cultish, or could be misconstrued as artificial elitism. Just as "SEAL" is a function, not a title (i.e., "SEAL Team Leader," "SEAL Team Member"). "SPECWAR" is the colloquial designation (i.e., "I was SPECWAR"). Now go around and tell the general public "Don't call them that. That's not their title." Good luck. The ridiculous of where this thread went is astounding. I agree. See y'all for the next one.